New York Gastroenterology & Endoscopy (Elmhurst) - Book Appointment Online! 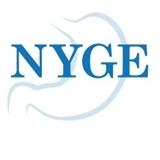 NYGE is a paperless medical practice offering comprehensive, timely, and compassionate medical care. Additionally, we provide each patient with their own Personal Health Record Platform for access to their Medical Record, Secure Doctor-Patient Messaging, Appointment Scheduling, and Patient Specific Educational Resources through the Mayo Clinic database available at any time on their iPhone or Android Smartphone, iPad, and online.